Those who sunk hours upon hours into the Zombie Panic Half-Life 1 and 2 mods will be happy to know that a funded spiritual successor, Contagion , is being made by some of the same people and will be available on Steam Early Access before this Halloween. 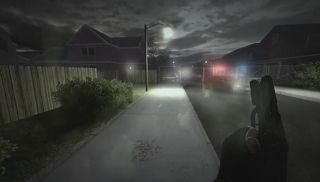 According to the Kickstarter video embedded above, Contagion hosts randomly-generated levels and objectives that players will need to complete if they hope to survive. Some modes might require going off the beaten path to save civilians who are holed up in a nearby house. Contagion also includes a PvP mode, meaning you'll have to keep a lookout for human enemies either living or dead. Contagion sounds promising, but I'm curious if it'll be different enough to stand out on its own in a world that's already flooded with zombie games. There are the randomly-generated objectives to give it its own flavor, but I'm not sure that'll be enough to attract players who've made runs in Left 4 Dead 2 part of their daily routine. We'll be able to give it a try soon.